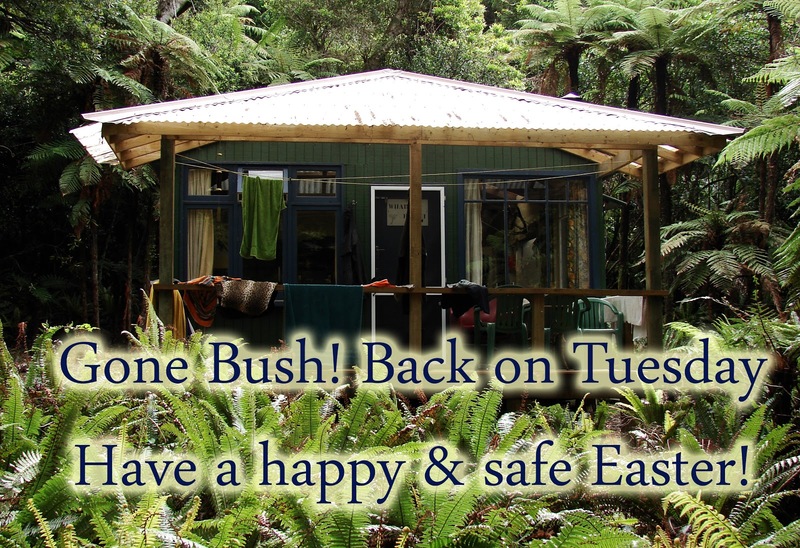 And I’ll be back on Tuesday : ) Everyone have a safe and happy Easter. Also did you notice Nancy’s book is now up on my blog? Unfortunately Amazon won’t let her put it up for free (but you can on UK Amazon… weird) so she’s got it at a mere .99c if you want a lovely story for the kids! And yes! That is actually where I’ll be staying *grin* For the first time in about 7 years Glenn and I will be up there with no dogs or anyone! Our friend Loi is house sitting and looking after the furbabies. Because Easter is a really popular drive-in we thought it might be best to leave them safe at home (also the Roar for all hunters out there ;p). So yay! A weekend solely for reading and writing (I’ll write, he’ll read) and lots and lots of yummy food. Can’t wait : ) we walk up tomorrow morning and will be having our lunch at the hut (cabin). I’d love to hear your Easter plans! Happy Easter, and have a great break!! What a great shot that is!! Have a great time. WE spent the past two days out on the horse farm. So that was great. A horse named Balista took an interest in my dress and tried to eat it. Naughty little girl she is!! Thanks for the shout out. I should have come by sooner, I've been wondering where you were. You deserve a vacation so I know you had fun.